Beth Kanter is a well-established international nonprofit thought leader. Her first book “The Networked Nonprofit,” introduced the sector to a new way of thinking and operating in a connected world. Her second book, “Measuring the Networked Nonprofit,” is a practical guide for using measurement and learning to achieve social impact. She published her third book “Happy, Healthy Nonprofit: Strategies for Impact without Burnout” in 2016. She also co-authored the “Emerging Nonprofit Leader’s Playbook,” funded by the David and Lucile Packard Foundation. She is the author of Beth’s Blog where she writes about networks, data, learning, training, facilitation techniques, nonprofit organizational culture and self-care for nonprofit professionals. Beth has over 35 years working in the nonprofit sector in technology, training, and capacity building and has facilitated trainings for nonprofits on every continent in the world (except Antarctica). She is experienced in participatory facilitation techniques such as design thinking, open space, peer learning, and more. She has over twenty years of experience facilitating online and virtual meetings. She is an in-demand keynote speaker and workshop leader. Named one of the most influential women in technology by Fast Company and one of the BusinessWeek’s “Voices of Innovation for Social Media,” Beth was Visiting Scholar at the David and Lucile Packard Foundation 2009-2013. Her past and current clients include Robert Wood Johnson Foundation, Kauffman Foundation, Gates Foundation, Brainerd Foundation, Knight Foundation, Hewlett Foundation, Knight Digital Media Center, Edutopia, HHS, and others. She currently serves as adjunct professor at Middlebury where she prepares graduate students for their internships at international nonprofits and how to use online networking tools to advance their careers. She is on the board of NTEN and Leadership Learning Community. Darwin Davis has taught as an Adjunct Professor at The New School University, Bernard Baruch’s Executive Management and National Urban Fellows Programs, Columbia University’s Institute for Nonprofit Management and The City University of New York’s inaugural Certificate Program in Non Profit Management. Mr. Davis has worked in the nonprofit sector for over 37 years; and has served as either the Executive Director or the President and CEO of Black Agency Executives, The Human Services Council, The New York Urban League and Black Equity Alliance. Edith Asibey is an Adjunct Assistant Professor of Public Service of NYU’s Robert F. Wagner Graduate School of Public Service. She is also the Senior Advisor at the Education Commission. Until December 2016, Edith led advocacy, partnerships and communication for UNICEF in Brazil, where she launched some of the most innovative digital work UNICEF has done to date, partnering with Google, Facebook and others. Previously, Edith held roles with the Global Business Coalition for Education, The Atlantic Philanthropies, the AVINA Foundation and NetAid (one of the first digital-only organizations in the world). Starting her career in the countryside of Paraguay, she led environmental education campaigns and directed the environment program for USAID in the country. She holds a Master of Arts in Media Studies from Stanford with focus on digital media; a specialization in leadership from Harvard’s Kennedy School of Government; and undergraduate degrees in Biology and Education from the University of Sao Paulo in Brazil. She is fluent in English, Italian, Spanish and Portuguese. Erika Bernabei is a leader in the strategic design and implementation of whole organization and collaborative work to achieve equitable results in low-income communities and communities of color. Through Equity and Results, she works with small and large non-profit, philanthropic and public organizations nationally and internationally to use a racial equity results driven process to build the capacity of leaders and communities. Erika uses an antiracist lens, developed by the People’s Institute for Survival and Beyond, and Results Based Accountability (RBA) developed by Mark Friedman to look at how organizations and collaboratives can work differently to do systems change work and strategically disrupt ‘business as usual’. Erika’s deep knowledge of community-based participatory processes encourages accountability with formal, informal and community leaders so that there is buy-in at all points in the work. Ever since she can remember, Ivy has wanted to change the world. She found a way to do so when she began working with nonprofits. Armed with a degree in organizational development, she founded Landmark Consultants, a boutique consulting firm that works to strengthen communities across the country by enabling nonprofits to build and sustain their infrastructure, raise funds, develop the leaders of tomorrow, and affect change. Together, Ivy and the nonprofits she works with are impacting millions of individuals and families. Before she founded Landmark, Ivy was the Vice President for Resource Development and Integrated Marketing & Events at UNIDOSUS (formerly NCLR), the largest civil rights and advocacy organization for Latinos in the United States. While there, she built the Resource Development Department from the ground up, increased the organization’s individual donor base, diversified its funding sources, and coordinated its annual conference attended by more than 4000 individuals. Ivy was recruited by UNIDOSUS from her job as Chief Development and Communications Officer at Urban Health Plan (UHP), a network of community health centers in New York. At UHP, Ivy developed the organization’s first employee giving program, began its individual donor program, and diversified the Network’s funding streams. She also developed a comprehensive communications strategy that resulted in coverage in major print, television, and digital media. A consummate relationship manager, Ivy understands that having transparent and authentic relationships is important to working in communities. Her ability to build strong collaborations, her keen sense of community, her analytical approach, and her commitment to accountability make her an astute and effective partner. Passionate and authentic about strengthening nonprofits, Ivy is not afraid to ask the tough questions, help organizations take calculated risks, and develop strategies tailored to their needs. Ivy is the proud mother of James, Tyler, Brandon and Bianca, as well as Gracie, her Shih Tzu. She loves to read and travel. Her superpower is finding the good in everyone she meets. Jamie Lonie has several years of experience in traditional and digital communications within the global education sector. As the Education Commission’s Digital Media Specialist, he develops and manages the digital content across the organization’s website, blog, email campaigns, and social media channels. Jamie is also the founder of Amplifi Digital where he supports digital communications for education nonprofits and mission-driven companies. Previously, he was Director of Social Media Community on Teach For America’s national marketing team, developing social media strategy and managing daily digital content. Jamie graduated from the University of Tennessee at Knoxville with a Bachelor of Science in Public Relations. Today, he serves as president of the university’s New York City alumni chapter. He also holds a Master of Education degree from the University of St. Thomas in Houston, which he earned while teaching elementary science. Joyce Sullivan is founder and CEO of SocMediaFin, a boutique social media consulting firm specializing in social media leadership training for nonprofit organizations, creative arts, specialty firms and regulated industries. She currently teaches social media communications at the Austin W. Marxe School of Public and International Affairs at Baruch College. Ms. Sullivan recently joined the advisory board of the Yonkers Film Festival leading their digital media strategic expansion efforts. She created the Chief Digital Officer (CDO) role at the Financial Women’s Association, and held that position for three years while co-chairing their Strategic Marketing committee. For the past 35 years, Kwayera has dedicated her life to working with African diaspora communities in the US, Caribbean, Africa, and Latin America. Her longstanding career has focused on performance arts and decolonial education for children and families. Through her endeavors as a teaching artist, activist, founder and organizational chief executive in New York City, her pedagogy has reached thousands of students, their caregivers and community members. Kwayera’s unique institutional and leadership development strategy is culturally informed and participatory. It continues to serve as a national model for diverse business structures. Most recently she has turned her attention to working in partnership with professionals and their families toward their desired goals through a variety of restorative, dialogical and traditional diasporic practices that she has cultivated throughout her career. Kwayera curates a distinctive blend of excellent leadership & management practices, practical mindfulness and movement immersion to facilitate the organic flourishing of spaces for joyful living and communal well- being. Participants commit to engagement in collective visioning and inspiration as they work toward greater wholism for their families, communities and vocational desires. Lori Roth Gale is the founder of Strategic Learning Associates, a consulting group that provides intensive professional development for mission-driven organizations, working with management, staff, and boards. Services include organization development, professional education program assessment and design, executive coaching, and research. Lori is a part-time Assistant Professor at the New School for Public Engagement’s Milano School. She teaches Master’s-level seminars on Management and Organizational Behavior, Leadership Development, and capstone project research. Lori served on the Executive Education Faculty at Columbia Business School from 2004-2010 and as the executive director of the Institute for Not-for-Profit Management from 1996-2004. Lori earned her doctorate in Adult Learning and Leadership at Teachers College, Columbia University. She is a graduate of the Yale School of Management and Brandeis University. Martha Stark served as the Commissioner of the New York City Department of Finance. Prior to her appointment, she also served as a White House Fellow in the Clinton Administration. She teaches courses in budget and financial analysis, public nonprofit sector management, urban service delivery, leadership and strategy, and program evaluation. Marti Fischer is a NYC based consultant and executive coach specializing in strategic positioning, communications and business development for individuals, young companies and nonprofit organizations. The first decades of her career were spent as a professional negotiator in the television industry. In 2006 Marti turned her business development, relationship building and negotiating experience to help individuals with career and professional advancement, nonprofits tell their story, raise money and become sustainable and first stage companies articulate their value proposition and strategic point of view. In addition to her work with Marti Fischer Group, Marti is a co-author of The Nonprofit Consulting Playbook, adjunct professor at Baruch College, instructor at NYU and frequent trainer for umbrella organizations and foundations in the areas of communication skills, professional development and nonprofit fundraising. Marti serves as a strategic advisor to YASI (Young Advocacy Service Corps) and Necessities INC. Marti is an active member of Women in Development New York, the Association of Fundraising Professionals, American Marketing Association and The Communication Network. Marti received a B.A. in Art History and Economics from Sarah Lawrence College. She is currently working on a book to help young adults position their skills for meaningful employment. Michael Steven Williams is on the faculty of the Austin W. Marxe School of Public and International Affairs at Baruch College, City University of New York. His research broadly explores equity and diversity, the social psychological development of students, and institutional diversity in American postsecondary education. Specifically, he centers his inquiry on two aspects of higher education: (a) the student, particularly student socialization and mentoring and (b) the institution, with focus on specialized institutions such as historically Black colleges and universities. To date he has authored over 15 scholarly publications including peer-reviewed journal articles and other academic publications. He earned his bachelor’s degree from Villanova University, his master’s degree from the University of Pennsylvania, and his Ph.D. from The Ohio State University. Odell Mays has managed and served on the board of nonprofits for over 27 years, and held the position of Executive Director and Chief Operating Officer. As a consultant, Mr. Mays has provided intensive financial management for several executive directors and CEO’s, including senior level consultations for organizations such as Amnesty International USA, The American Society for the Prevention of Cruelty to Animals (ASPCA), The Gay Mens Health Crisis (GMHC), National Advocates for Pregnant Women (NAPW) and FilmAid International (an international film agency working with refugee communities in Kenya). He has also served as Treasurer and Chair of the board of Gay Mens Health Crisis in NYC. Mr. Mays has a BA in psychology from Stanford University and an MBA in finance and taxation from New York University’s Stern School of Business. He also currently serves as an Adjunct Lecturer at Baruch College (CUNY) in the Austin W. Marxe School of Public and International Affairs where he teaches a graduate course in finance and budgeting. In addition he teaches in the Masters’ program at New York University’s Heyman Center for Philanthropy and Fundraising. Richard Rivera is President of Renew & Redesign Consulting an organizational consulting firm, specializing in organizational change/transformation, leadership/executive development, strategic planning and human resource training for nonprofit, government, and healthcare organizations. Richard’s expertise includes specialized services around executive coaching, leadership development, strategic conversations, board development, employee engagement, resource development, and organizational assessments. Richard has served as lead consultant/facilitator for several Executive Programs at the Austin W. Marxe School of Public and International Affairs at Baruch College. He is a global steward of the Art of Hosting (AOH) Conversations That Matter and has facilitated AOH trainings at the Riverside Church, The Center for Social Innovation and numerous child welfare and school programs. At the Adelphi University School of Social Work, Center For Nonprofit Leadership, Richard serves as an organizational change consultant and executive coach. He also served as coach/facilitator for Columbia University’s Management Development Program. As a member of the Drucker Foundation’s “Organizational Assessment Tool” team, Richard has conducted presentations to board and executive leaders across the nation. Richard received his M.S.W. degree from Columbia University, School of Social Work. Rodney Christopher is a director on the capital deployment team at the F.B. Heron Foundation. Previously, he spent 15 years developing the consulting practice at Nonprofit Finance Fund (NFF), a national organization that unlocks the potential of mission-driven nonprofits through tailored investments, strategic advice and accessible insights. At NFF, Rodney has served as a trainer and consultant to more than 400 nonprofits and 80 grant making foundations—in the areas of human services, arts & culture, education and community development. Rodney holds an M.S. in urban policy analysis and management from The New School and a B.A. in social sciences from Bard College at Simon’s Rock, which established a scholarship fund in his name in 2006 to help its students afford study abroad. He has served as board treasurer for a handful of organizations, most recently Fractured Atlas, a technology-driven national service organization for artists and arts organizations. Sabrina Kizzie is a nationally recognized coach, author and speaker in New York City. Sabrina’s wrote a book entitled “Fearless Women in Real Estate and their Winning Strategies. She is an Adjunct Lecturer in Baruch College’s Continuing and Professional Studies division and the Steven L. Newman Real Estate Institute Zicklin School of Business. She teaches Social Media Marketing, Interactive Marketing and Marketing Communication and Media Plan Development. Sabrina is a marketing expert and motivational speaker to inspiring women entrepreneurs. With over 15 years of marketing experience, she has been able to successfully partner with many well-known organizations to create powerful events to educate her audience including Susan G Komen for the Cure and Habitat for Humanity. 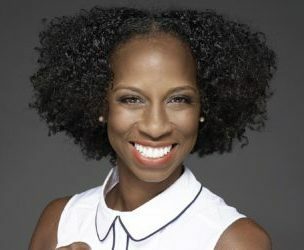 Sabrina has been featured in many publications such as Crain’s New York Business, The Mann Report, Black Enterprise Magazine and Real Estate Executive Magazine. Sabrina is involved in numerous community activities. For eight years, she was involved as a mentor and Big Sister to a young girl through the Big Brother/Big Sister Program of New York City. She served as an elected member to the Board of Directors for the American Red Cross- Bronx Chapter from 2001 to 2009. Sabrina currently serves on the Harriman Advisory Board for The Red Cross in New York City. Ms. Kizzie is an active member, volunteer and an elected member of the Nominating Committee for the Riverside Church in New York City. Toby Thompkins has over 30 years of experience working across corporate, for-profit, nonprofit, government and international development sectors as a senior level executive and organizational development consultant. As a leadership coach, Mr. Thompkins has worked in the USA and internationally with a broad range of leaders including CEOs, philanthropists, country managers and grassroots activists, advocates, artists and musicians. Mr. Thompkins is a speaker, blogger, author, and executive coach. In his blog, How I See It… Toby shares his thoughts about culture, personal and community transformation, the future, social justice, and transformative leadership. He is the author of The Real Lives of Strong Black Women (Agate 2004), which chronicles the wisdom and true stories of black women who moved from “giving until it hurts” to lives of self-care and personal power.